Sulzer will be one of the prominent exhibitors at POWER-GEN International (13 – 15 December) in Orlando (USA) welcoming people from more than 100 countries to see the complete range of products and services on offer. Visitors will have the opportunity to discover more about the latest innovations in power generation from Sulzer. As a global industry, power generation requires equipment and service support that can be delivered anywhere in the world. Sulzer provides an industry-leading portfolio of electro-mechanical, turbine and pumping services for rotating equipment. Details of the complete range of services from component supply to turnkey refurbishment projects will be available from Sulzer’s experienced staff at Booth #5404. Sulzer has long established capabilities in the gas turbine sector with experienced personnel that are able to support the F class gas turbine market. These include the GE, Siemens and Alstom fleets. 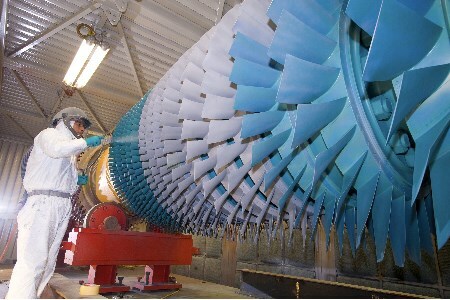 Field services, technical direction, manufacturing, overhaul and refurbishment projects are supported by world class facilities that can produce products such as turbine and compressor blades to the highest specification. At this year’s event, Sulzer will also be showcasing some of the other services available, such as the repair of generators and the manufacture of high voltage coils as well as the in-house manufacturing and coating capabilities for compressor blades. Replacement or repaired compressor blades are frequently required to minimise the effects of corrosion, pitting and cracking. In addition, an interactive retrofit solutions area and an augmented reality wall will allow visitors to explore all of the maintenance solutions available for the power generation sector. These will be supported by examples of Sulzer’s high voltage generator coils and Sulzer’s Parts Box, which contains a complete set of OEM quality parts for Sulzer pumps to maximise plant availability and reduce maintenance costs. As an OEM pump manufacturer, Sulzer engineers, designs and produces a broad range of pumps that offer high performance and efficient operation within fossil-fired, nuclear and renewable power generating plants. As a repair and maintenance provider, Sulzer can also refurbish and remanufacture any brand and size of pump that operates in the industry. With a worldwide network of service centres, Sulzer is a leading service provider for all brands of rotating equipment including pumps, compressors, turbines, generators and electric motors. These are supported by design, manufacturing and engineering centres that can offer turnkey solutions for the entire power generation market.